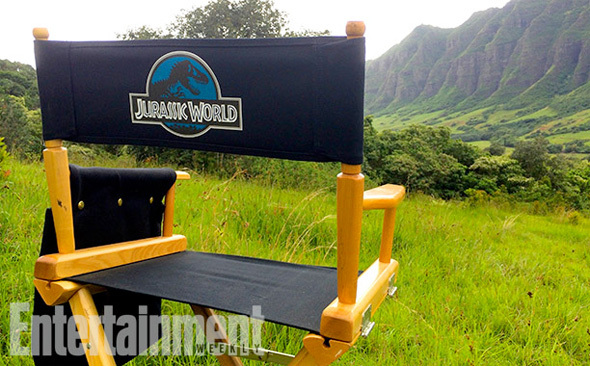 Following news that director Colin Trevorrow has already been part of the planning of more sequels in the Jurassic Park franchise to follow next summer's pseudo franchise reboot Jurassic World, we have the first official photos from the tropical set on location in Hawaii. Production began on April 14th, so we don't have any shots of the dinosaurs, but we do get a glimpse of Bryce Dallas Howard shooting a scene. She's dressed pretty fancy, and judging from the room, it seems like she might be the new John Hammond, behind the scenes of the operational dinosaur theme park we saw in some concept art recently. 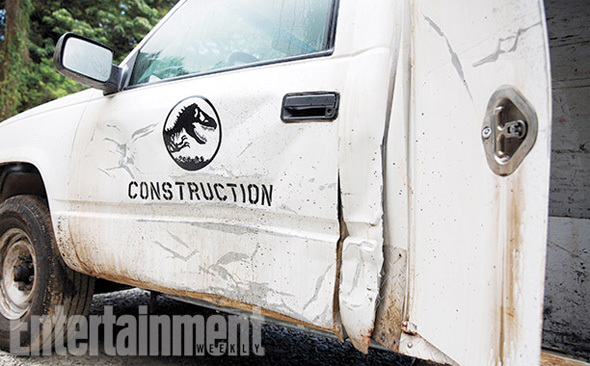 There's also a look at Isla Nublar and one of the park's new vehicles that has some damage, likely from a dinosaur. Look! Have some hopes for this project. The cast is really good, but so was the cast of JPIII. Hoping for the best, as the original JP is my favorite movie. I have some reservations along with my hopes. JP came at a perfect moment in film history and was the right amount of hammy that it's watchable forever. I don't know what to expect but I have a feeling the movie will be well done but won't necessarily instill any sense of nostalgia (e.i Total Recall). Once I see some water trembling, all will be forgiven.